This easy Hot Apple Cider Recipe is an easy to make cold weather treat, it’s like Christmas in a cup. And very easy to make! It’s like a mulled cider, with apple juice steeped in spices. Moving to Australia, the concept of Apple Cider here is different from the American Apple Cider. Like the Brits, Aussies usually drink Apple Cider as a cold alcoholic drink, made from apples. The concept of a non-alcoholic American style Hot Apple Cider recipe made from juice doesn’t exist here. I usually freak people out when I tell them I am giving my children Apple Cider! When it gets cold here, drinking Hot Cider reminds me of the Thanksgiving or Christmas season. 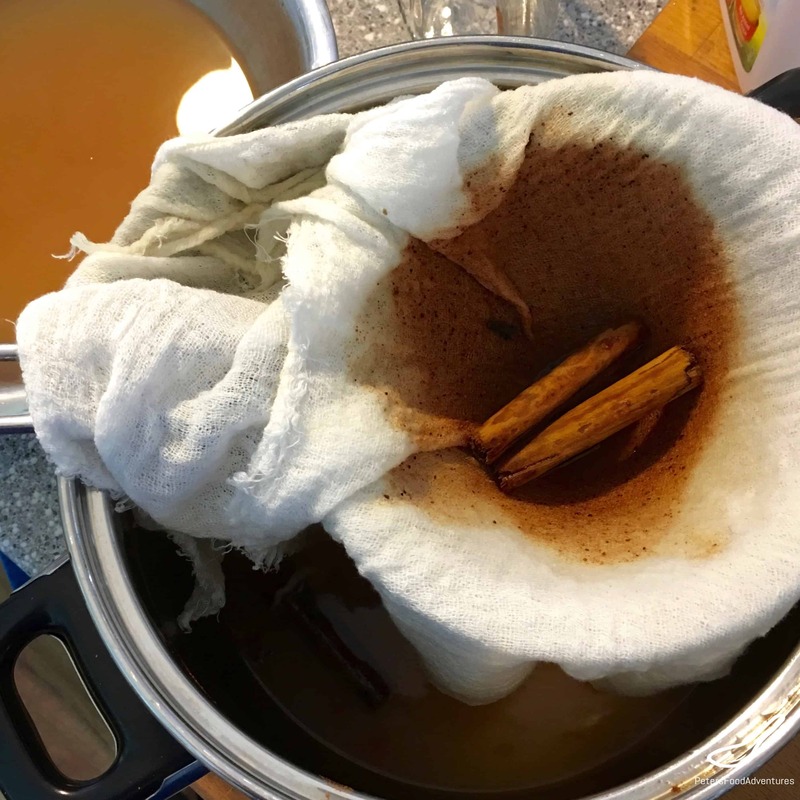 We used to buy instant hot cider mix, but as it doesn’t exist here in Australia, so I’ve had to learn how to make it myself. You can make a bouquet garni for the spices to make it easier to take the spices out, but I just use a cheesecloth and strain the Hot Apple Cider. For a flavor variation, sometimes I use ¾ teaspoon of Pumpkin Pie Spice instead of the cinnamon and nutmeg. If you want an alcoholic Hot Apple Cider, you can add some rum at the very end just before serving, or make it with an alcoholic cider. 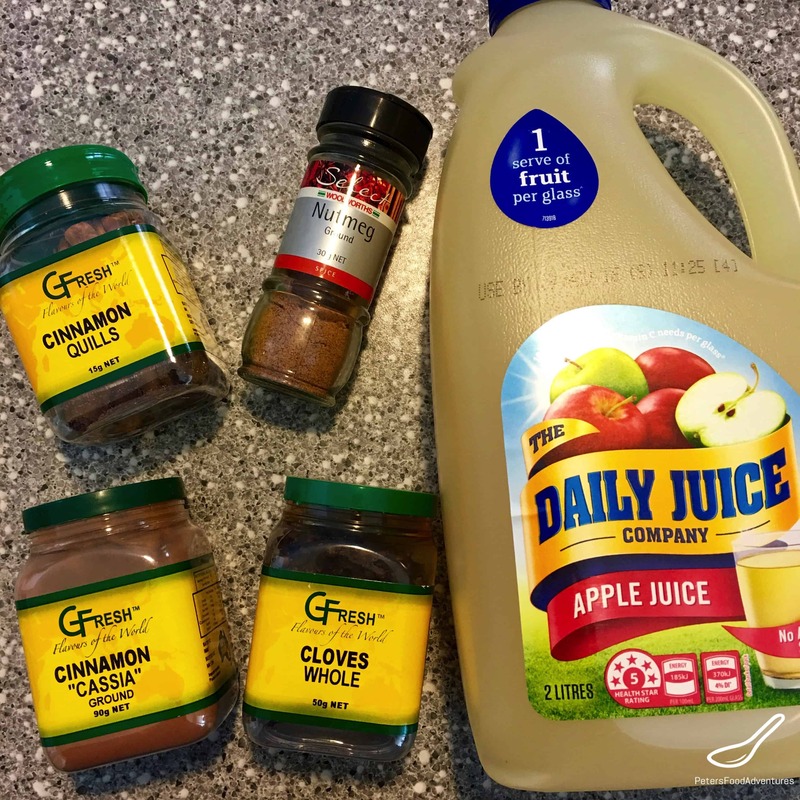 Some people like adding a little brown sugar, or even caramel sauce to the recipe, but I think Apple juice is usually sweet enough. 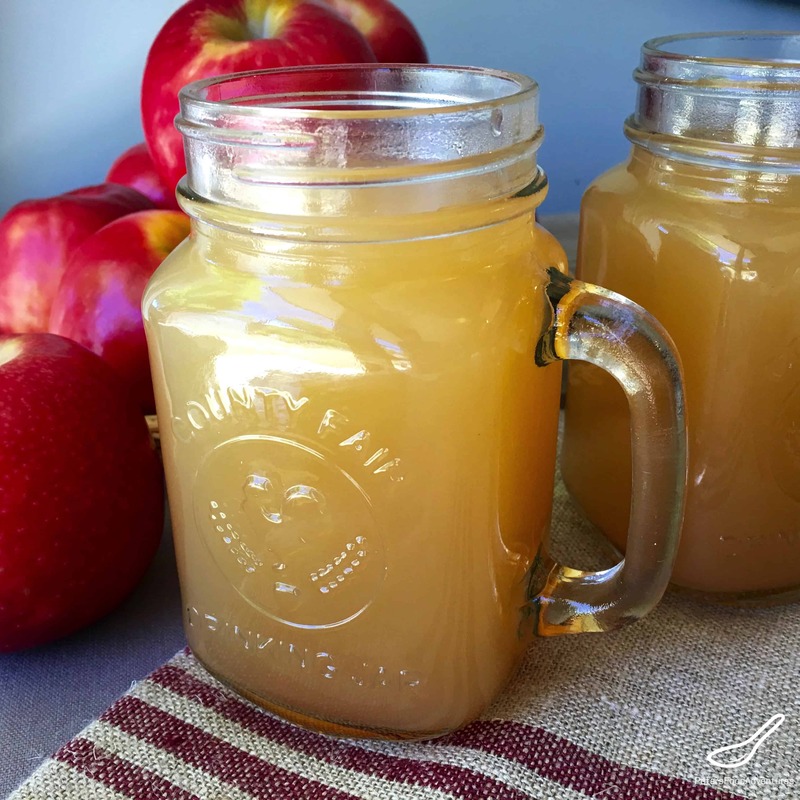 So easy to make, and healthier than store bought with unpronounceable ingredients – Easy Hot Apple Cider. Warms me from the inside out. Bon Appetit! Приятного аппетита! Didn’t realise you lived in the US before Australia. For how long? And where in Russian are you from originally? Thanks for checking it out Emily! Hope you get a chance to make some! ???? Good to learn how to make apple cider, especially a hot one. Just in time for the holidays ??? ?